This is a very common dish most places in Eastern Europe but may be by different names. 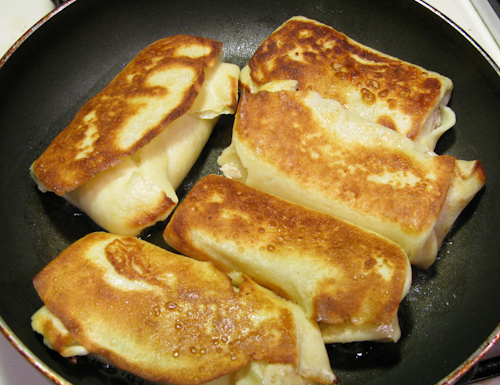 In the West, it is mostly known by its Polish name of “blintzes,” however the dish is essentially the same. It can be prepared with a wide variety of fillings, most commonly with tvorog, but also a variety of fruit fillings. 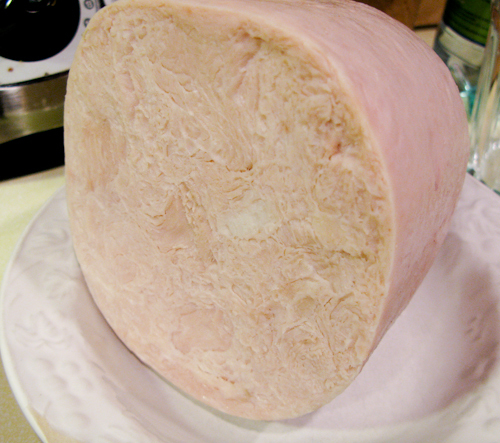 Here, we used some pre-cooked turkey breast. 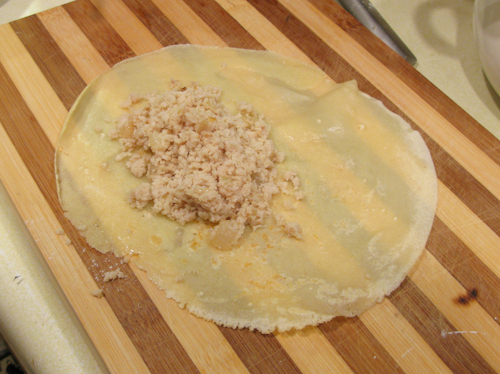 Start by preparing the filling, if you are starting with ground meat then you can skip this. 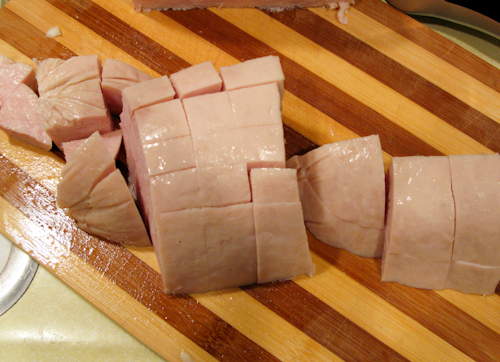 We cubed up turkey breast and put it through a meat grinder. 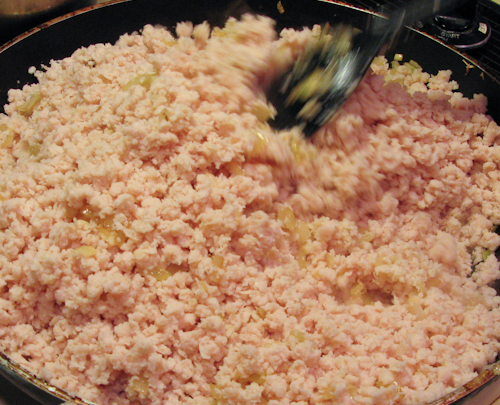 Saute the onions and add the ground meat. 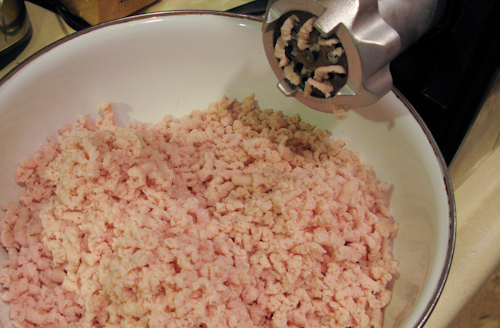 If you’re using uncooked ground meat, then fry it until fully cooked. All we had to do was heat up the turkey, make sure it’s well mixed with the onions. Season the meat to taste, all we used was salt, pepper, and a couple of tablespoons of vegeta seasoning. The blinchiki are extremely easy to make. 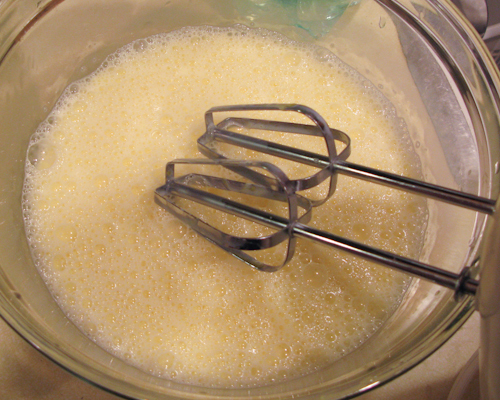 Beat the milk, eggs, flour and sal together until a uniform mixture. 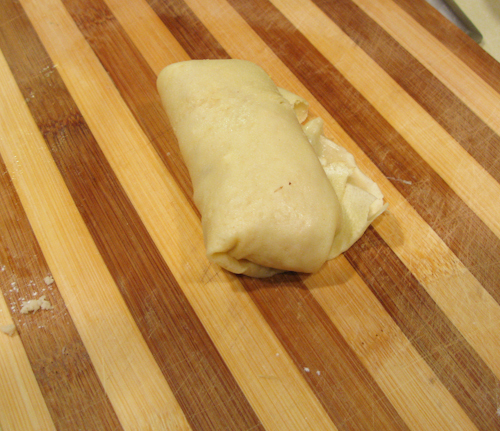 Lightly butter or use some oil spray to grease a pre-heated pan (medium heat). 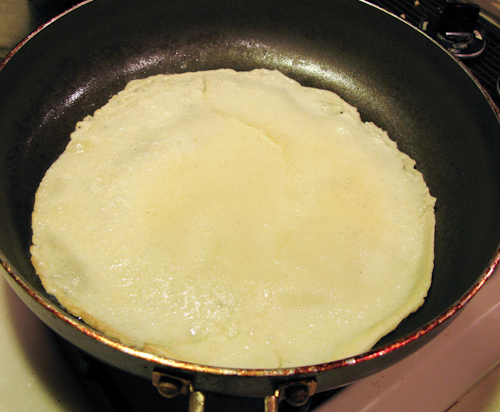 Ladel in the batter into the center of the pan and spread it out evenly over the bottom to form a very thin layer. Similar to the way you would prepare crepes. 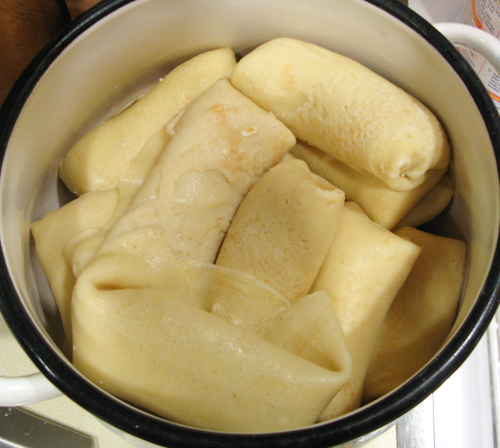 As soon as the batter on top no longer flows, flip the blinchik and cook for an additional 30 seconds. 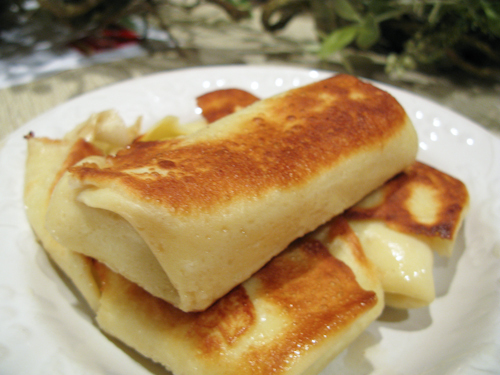 You don’t want to burn the dough, it shouldn’t take longer than 1.5 minutes to prepare one blinchik. Once you have a stack you can start wrapping the blinchiki. Place one table spoon of the filling slightly off center of the blinchik and wrap it tightly to make sure it doesn’t fall apart. Place them in a pot or a covered bowl and store them in the fridge until you’re ready to serve. 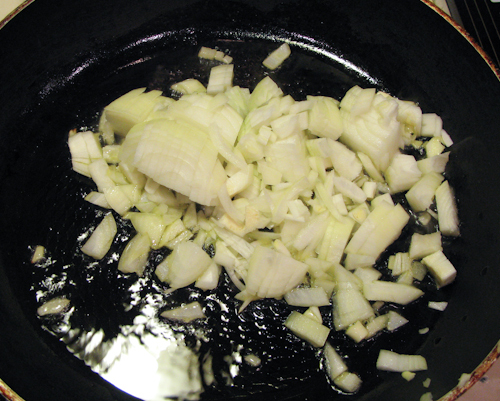 Right before serving, lightly fry the blinchiki on some vegetable oil on both sides until golden brown. Serve hot, topped with sour cream, or with fresh berries if you’re stuffing with tvorog. Posted in: Beef, Chicken, Dairy, Desert, Meat Dishes, meat-less, Pork. THank you soo much for posting this. I’ve been looking for a meat filling version. The one I posted is the cheese filling, but I love the meat ones too! can you suggest any sauces what will complement, this dish??? It really depends on your taste. Personally, I do not use sauce for the meat-stuffed variety, but would use sour cream or jam/fresh fruit for the cheese or fruit stuffed ones. My mother on the other hand, uses sour cream for these guys. Thanks for sharing this classic recipe! If I do the meat-stuffed version, I use sour cream or fresh fruit. Sauce would be alright, though. This is truly a gift to read this recipe!!! My grandmother, who was Polish and Czech and married to a Ukrainian made meat blintzes with left over rolled roast beef put through the meat grinder and sauteed with minced onion in butter. My Grandmother called them “Gizmos”. 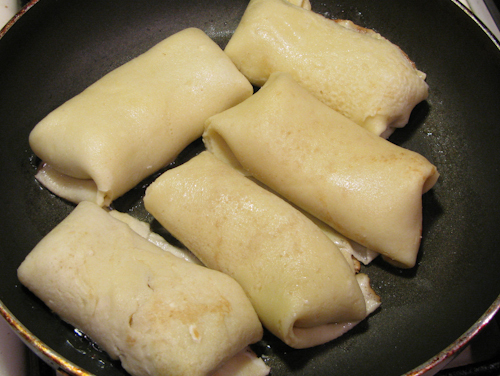 I have longed for them but never knew how she made the batter for the blintzes. I would consider making crepes batter, but always backed out because it knew I’d be disappointed. Ours were always fried in butter and proudly eaten with Heinz 57 ketchup (a MUST). 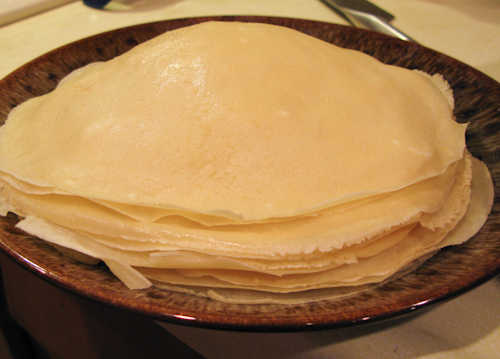 There was nothing sweeter to our ears than to hear Grandma say she had made meat blintzes/Gizmos! Thank you a million times for posting this! used this dough recipe and stuffed with chichil cheese, then a little dollop of caviar and sour cream. Amazing.